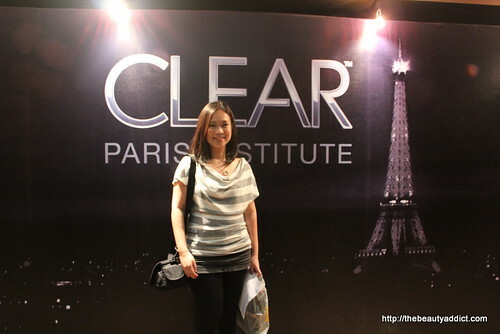 When CLEAR shampoo was released several years ago, I heard/read mixed reviews about it. Some raved on how it helped cure their dandruff but some said the opposite or that it cured their dandruff for a while but reoccurred after a few days. For people who often suffer from dandruff, it is important to know that a dandruff shampoo does not permanently cure dandruff because it is a chronic condition. What it does is it just helps control it so there's really a possibility that it will reoccur occasionally. Based from my experience, it is important to find a shampoo that is suitable for your scalp condition. Knowing what active ingredient works for you will help in choosing the right product for you. Now with sleek and modern packaging. It designed to have lesser space in order to save trees. 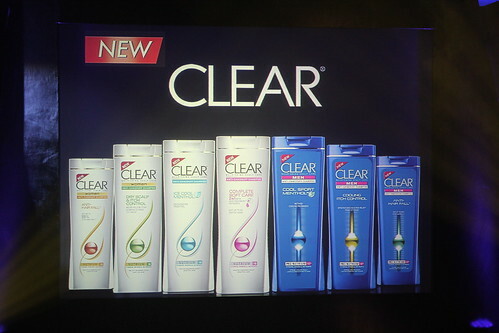 Because men's scalp is more susceptible to dandruff, CLEAR MEN has a different formulation from CLEAR WOMEN. CLEAR MEN is formulated with PRO NUTRIUM 10 technology that contains 2 active ingredients: Zinc Pyrithione and Climbazole which effectively, quickly fight dandruff while the latter has NUTRIUM 10 that has Zinc Pyrithione and 2 times more panthenol to help strengthen hair fibre. 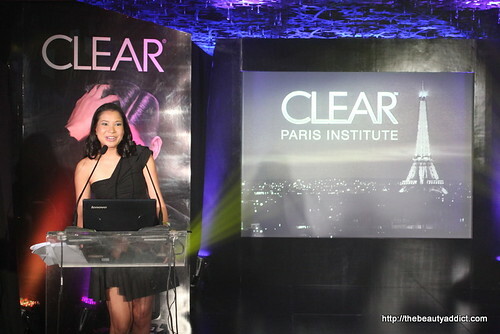 Last March 12, I attended the launch of the NEW CLEAR held at Midas Hotel (formerly Hyatt Hotel). 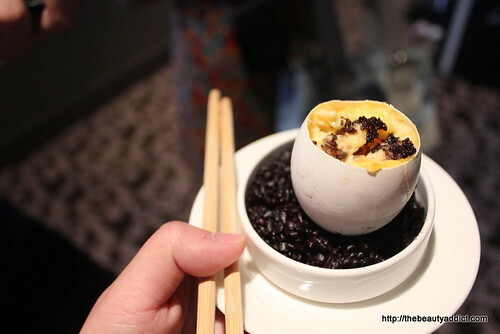 I fell in love with the place (will talk about it on a different post :)). Apparently, the one on the left is my scalp. Slightly oilier and pale compared to the one on the right which is a photo of a healthy scalp. I just have 2 hair concerns right now: hair fall and itch. But they didn't see anything on the camera. Hmm I wonder what causes that scalp irritation. 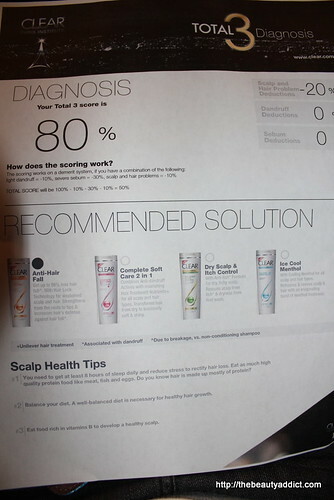 I admit I was kinda scared taking the scalp test haha. But since I was one of the early birds, I took the chance. Surprisingly, I got an 80% score! "Knowing that my scalp is healthy and well-nourished gives me that much needed confidence for my performances, on and off the screen. - Piolo Pascual. I could totally smell him from where I was standing when I took this photo haha. He said his favorite variant is the Icy Cool. "In my line of work, my hair goes through so much styling! To make sure that my hair is healthy, I make sure to take care of my scalp. After all, the scalp is the foundation of beautiful hair! 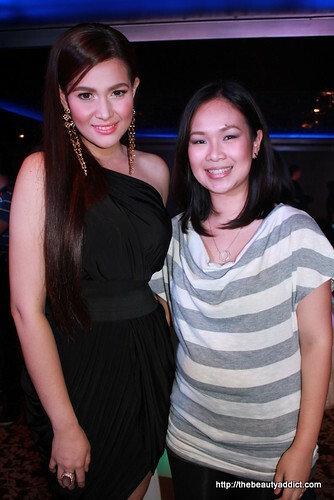 With CLEAR I am always sure that I have dandruff-free, beautiful hair" - Bea Alonzo. Don't you love her long, shiny hair? I actually thought she was wearing hair extensions. According to her, she sometimes goes to salon for hair pampering. But when she's tired from work, CLEAR is enough to make her hair beautiful. Everything I wore that day was FOREVER21: top, skirt and leggings. Except the shoes but not in the photo. 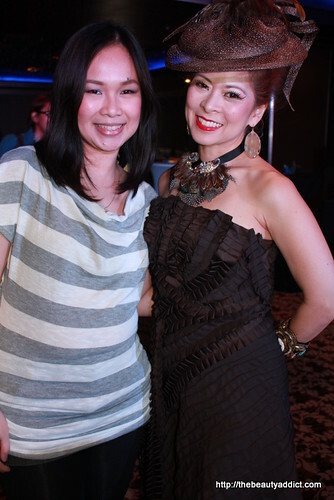 With the very tall Bea Alonzo. I'm wearing heels aready ha! 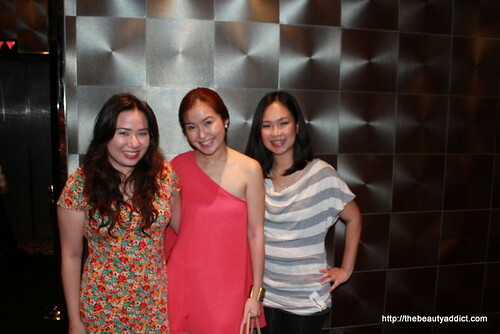 Thanks to Michelle, Rowena and Unilever! 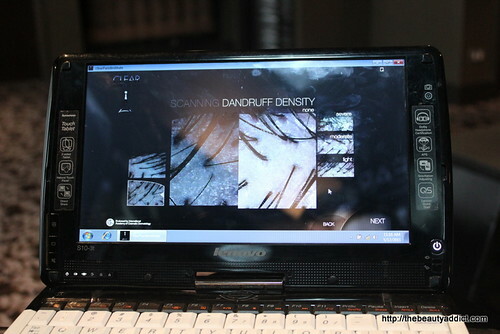 I use Clear whenever I have dandruff problem. It works but it makes my hair fall. Good to know that Clear have added anti-hair fall variant.